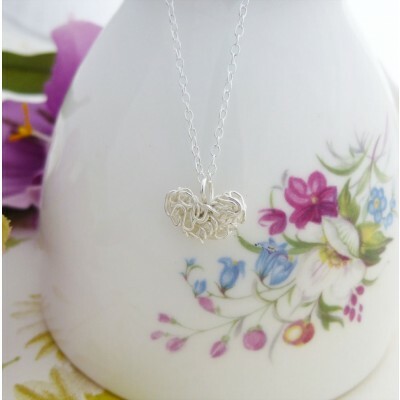 The Holly mesh heart necklace features a cute sterling silver heart shaped pendant which has been created with fine strands of silver mesh hand shaped and moulded together to create a charming little heart. 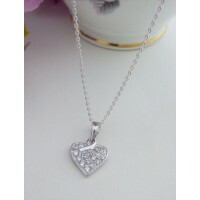 The Holly mesh heart is suitable for younger women making it perfect for a 16th or 18th birthday present. 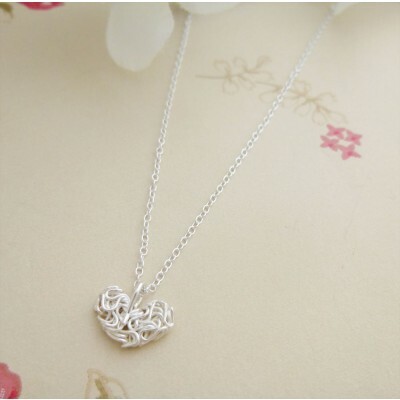 The Holly mesh heart is made from 925 sterling silver and sits on a fine chain which measures 41cm and has a 5cm extender. 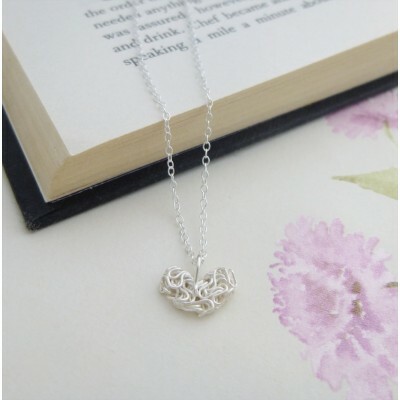 Made out of 925 sterling silver. 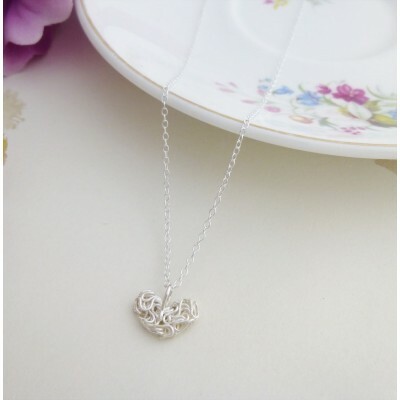 Fine sterling silver chain which measures 41cm and has a 5cm extender.